Your employees won’t usually outright tell you when they feel underappreciated, but it’s your job as a manager to prevent this feeling from ever coming to fruition. Showing appreciation tends to bring out the best in people! A study by Glassdoor, an online career website, showed that 80% of employees were much more motivated to work when their bosses showed them appreciation. Happy employees create a more fun and efficient work environment. When employees feel appreciated, their work becomes less burdensome. Dogs can sense when there is stress and tension, which can then affect their own moods and behaviors. The last thing you want is unhappy employees AND unhappy dogs. 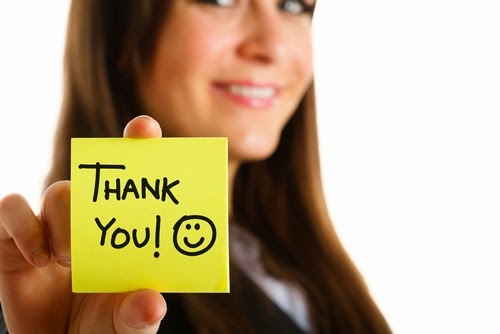 The secret to keeping employees happy is simple: express your gratitude! A genuine “Thank you” can go a long way, but here are a few ideas to show your employee appreciation instead of solely telling them. 1. Buy your employees coffee. The next time you stop by the local coffee shop for a brewed start to your morning, think of your employees too. Grab a few medium roasts and leave them in the cafeteria with a nice note of gratitude. Working with energetic dogs all day, they’ll need that extra boost! Take it one step further: Know their order by heart! You could go the safer route and buy black coffee, but if you know that you r employees prefer specialty drinks, opt for those instead. Personalizing their drinks shows that you pay attention and care about each employee as an individual. 2. Designate your own Employee Appreciation Day. The first week of March is when Employee Appreciation Day occurs yearly, but that doesn’t mean you can’t create your own! Have another one later in the year or make it a point to treat your employees to something special every other month. You can have lunch catered to your facility or leave small gifts on their desks. Take it one step further: Throw a company picnic! Employees will love having a reason to get together for a fun day. This doesn’t have to be at a fancy theme park. If you only have a few employees, then pick a dog-friendly park or an area along the beach where their entire families can come and participate. 3. Have an "Employee of the Month". Be creative with this one! You can have certifications printed up or buy gift cards. Target, Starbucks, and Best Buy are common favorites that can be used by anyone. Movie tickets are great go-to gifts as well. Take it one step further: Offer to do their dirty work. Are there particular tasks that your employees do for you such as picking up dog waste or mopping the floors? Have them assign you a task of their choosing while they take an extra long lunch break or a half day. 4. Remember your employees' birthdays. Make a big deal out of it! Send automated reminders with your kennel software to the rest of your employees a day ahead of time. Buy a cake, have pizza delivered, or make them a poster that they can take home at the end of the day. Take it one step further: Plan a week ahead of time to have each employee sign a birthday card or framed photo with affirmations as to why your employee is so great! 5. Sign up for PawLoyalty software. You are probably thinking, “Seriously?” And the answer is yes, seriously. One way you can show your employees you appreciate them is by empowering them with tools to make their job easier. PawLoyalty pet resort software was built with the employee experience in mind and the user interface is optimized to make it easier for your employees to do the things they need to do, do them quickly and simply. Change the vibe in your facility from grumbling about how bad and frustrating the software is to having your staff rave about how awesome the software is! And they will with PawLoyalty - that’s our promise to you. Bonuses around Christmas-time are a great way to wrap up the year, especially after going through a stressful holiday rush. At a time when even the customers are on edge, the extra money on your employee’s paychecks will give them incentives to stay energized and motivated. Take it one step further: Get them presents too! While the bonus may seem enough, hand out gifts like bottles of wine, a box of chocolate, treats for their pets, or small gifts for their children—but please no fruitcake. What are some creative ways you show appreciation to your employees?